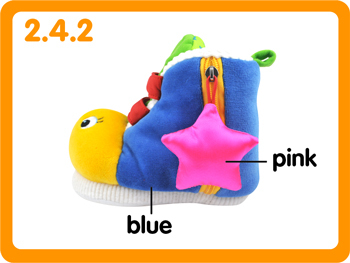 New version of the K's Kids award winning Learning Shoe. 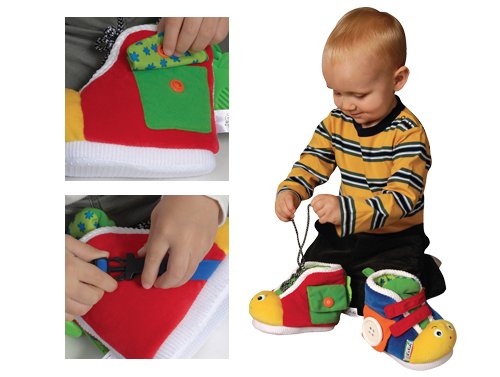 These shoes encourage kids to learn all the 6 dressing skills: shoe lacing, buckling, snapping, velcro tearing, buttoning and zipping. 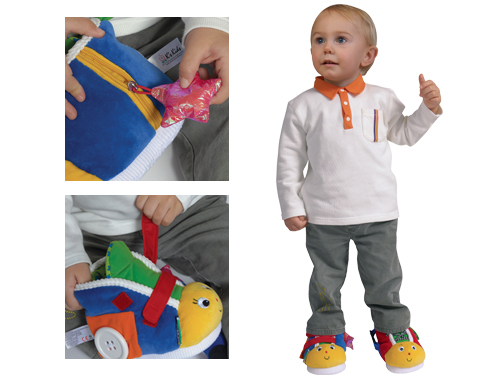 Children can wear the shoes on their little feet and learn at the same time. * The shoes are not walking shoes and should be used only at home with parental guidance. 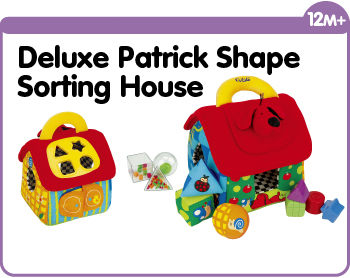 Method: Shake the star-shaped rattle to attract your child's attention and observe her reaction to the sound. Method: The shoes are made from different materials. 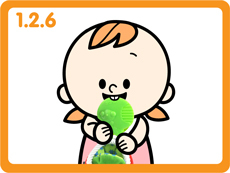 Encourage your child to touch the bumpy soles as well as the soft and smooth textures and to chew on the apple teether. 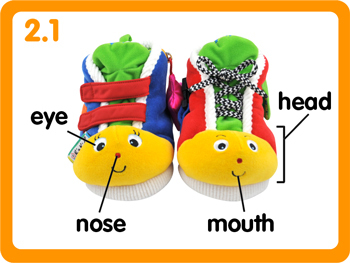 Method: Parents can use the two faces on the shoes to teach children facial features such as the head, eyes, nose and mouth. 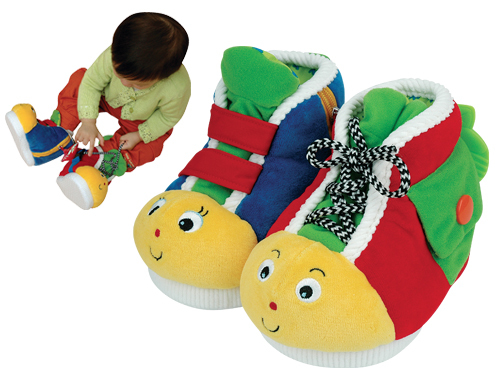 Method: These shoes are bigger and softer than real shoes, so they are easy to put on and take off. 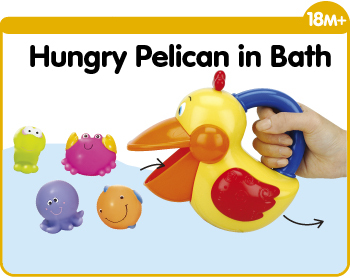 Children can use them to practice putting on and taking off shoes. They can also experience the fun of wearing shoes before they learn to walk. *These shoes were not designed for children to walk in. Children are not encouraged to walk around in them for a long period of time. 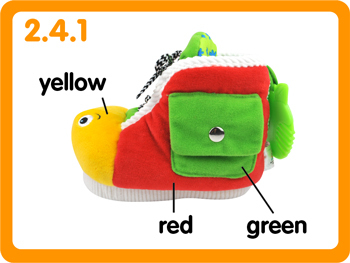 Method: Teach children to identify the colors on the shoes. 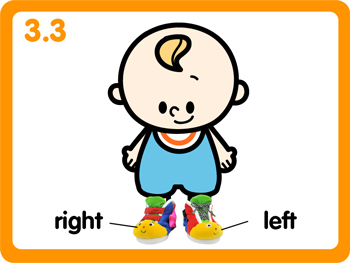 Method: Parents should encourage children to point out the differences between the two faces on the shoes. Method: As children put on the shoes, parents can teach children about “right” and “left”. Method: Teach your child to tie her shoe laces by practicing on the red shoe.